HomevideosExplaining the Future | Singularity or decline? 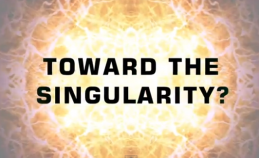 Explaining the Future | Singularity or decline? Explaining the Future | Is a new, more prosperous age beyond a technological Singularity on the horizon? Or does human civilization now face an inevitable decline? This video by futurist Christopher Barnatt discusses the great debate at the heart of future studies. Hello, I am Christopher Barnatt — a futurist, author, videographer, and Associate Professor of Computing and Future Studies in Nottingham University Business School. As addition to this website and ExplainingComputers.com, I’m the author of eight books on future studies and computing. These include Seven Ways to Fix the World, 25 Things You Need to Know About the Future and A Brief Guide to Cloud Computing, and my Future Trilogy. I have made more than 60 appearances on the radio talking about the topics covered on this site. Many of my appearances have been on BBC Radio Nottingham. You can read more about this on my BBC Nottingham Profile Page. I have also been interviewed on 16 other BBC local radio stations spanning from Jersey to Scotland. In 2008 and 2009 I appeared many times on Kerrang! Radio’s epic The Night Before with Nick Margerrison. I acted as a consultant to Discovery Channel in the production of Helium3Game.com, and am a member of the World Future Society. On occasion I work with Dutch futurist Marcel Bullinga of Futurecheck. I also contribute to 3DPrinter.net. Recently I have made presentations or undertaken other work for a range of clients including the Clore Leadership Program, ConsumerEyes, Holland Centraal, Medilink East Midlands, the U.K. Government’s Department of Business, Innovation and Skills, Greenbelt and the Jersey Arts Trust.